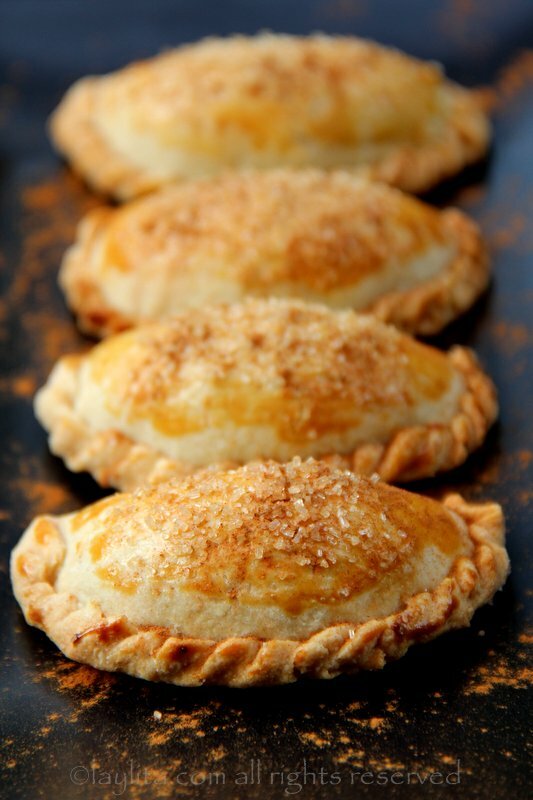 These delicious homemade pumpkin empanadas are made with caramelized or candied pumpkin, also known as dulce de zapallo. 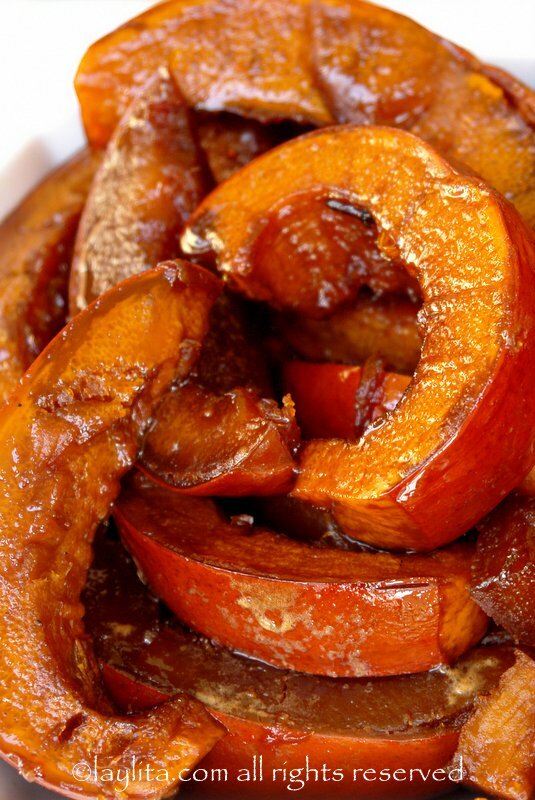 The pumpkin or squash is cooked in a syrup of panela or piloncillo with cinnamon, clove and all spice. 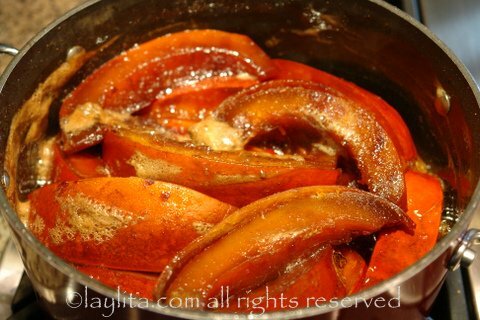 I love making dulce de zapallo or candied pumpkin during the fall and winter months. It’s a great dessert and makes my house smell amazing. 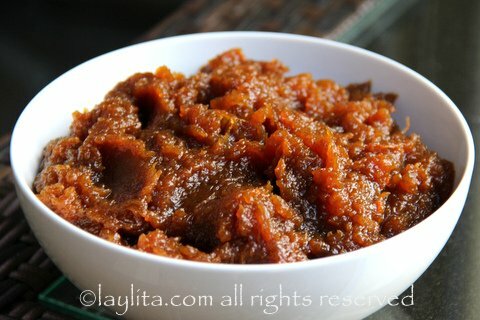 You can served dulce de zapallo or candied pumpkin alone or with a piece of fresh cheese as a dessert. 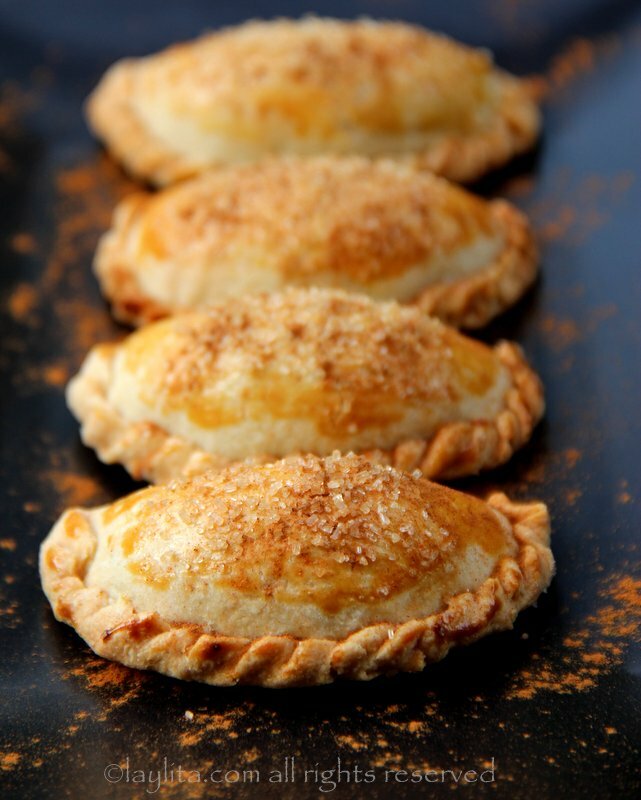 However, it also works as a great base for pumpkin pies or tarts, pumpkin flan, and of course it makes a perfect filling for sweet empanadas or hand pies. 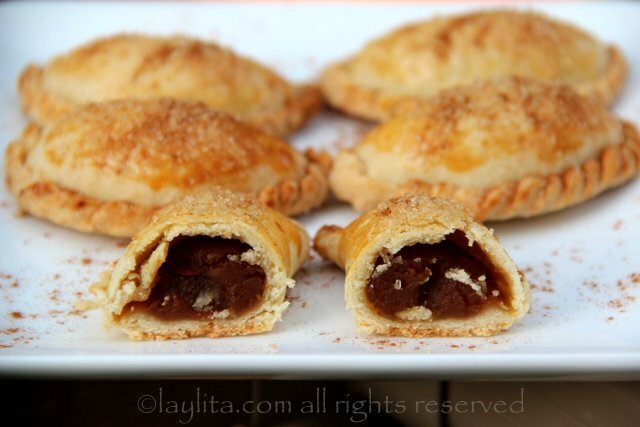 Delicious homemade pumpkin empanadas made with caramelized or candied pumpkin, cooked in panela or piloncillo syrup with cinnamon, clove and all spice. 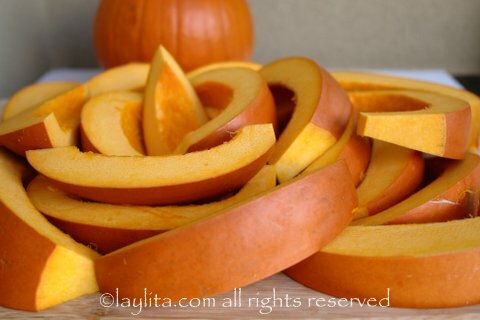 Cut the pumpkin into 1 inch slices. Place the chunks of panela or piloncillo, the water and the spices in large pot. 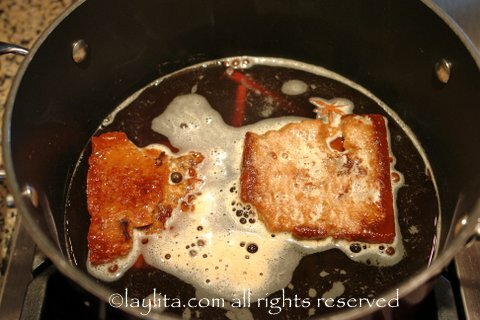 Cook until the panela chunks have dissolved. Bring the panela or piloncillo syrup to a boil over medium heat, add the pumpkin slices and boil for about 30 minutes. Try to avoid stirring while the pumpkin is cooking. Reduce the heat and simmer for about 1 hour or until the syrup thickens. Let the candied pumpkin slices cool down until safe to handle. Remove the skins from the pumpkins and reserve the candied pumpkin pulp for the empanadas. 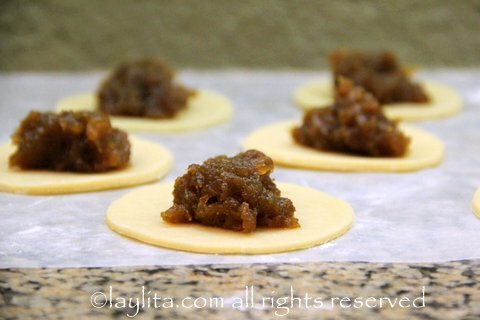 Place a spoonful of the candied pumpkin mix on the center of each empanada disc. 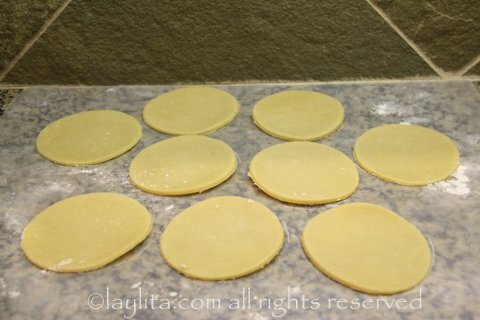 Fold the empanada discs and press the edges together using your fingers. 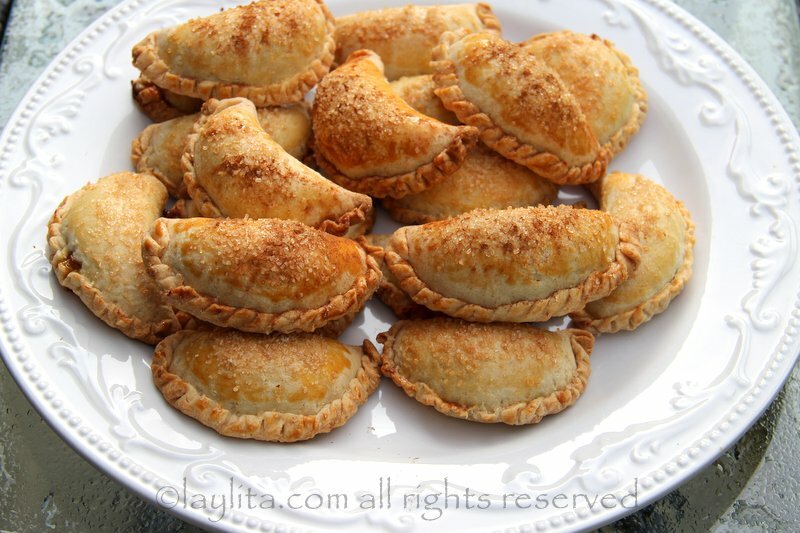 You can either use a fork to press down on the edges and seal the empanadas; or you can use your finger to twist the edges and form a curl like seal. 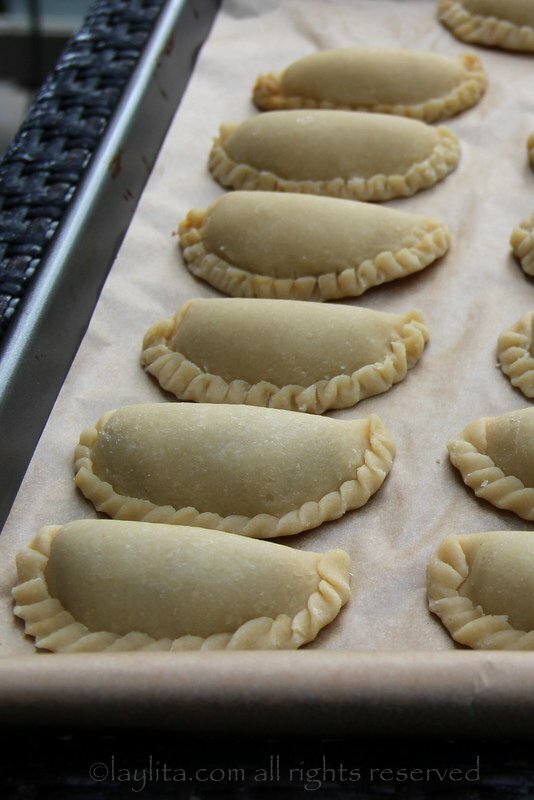 Refrigerate the empanadas until ready to bake. Pre-heat the oven to 375F. 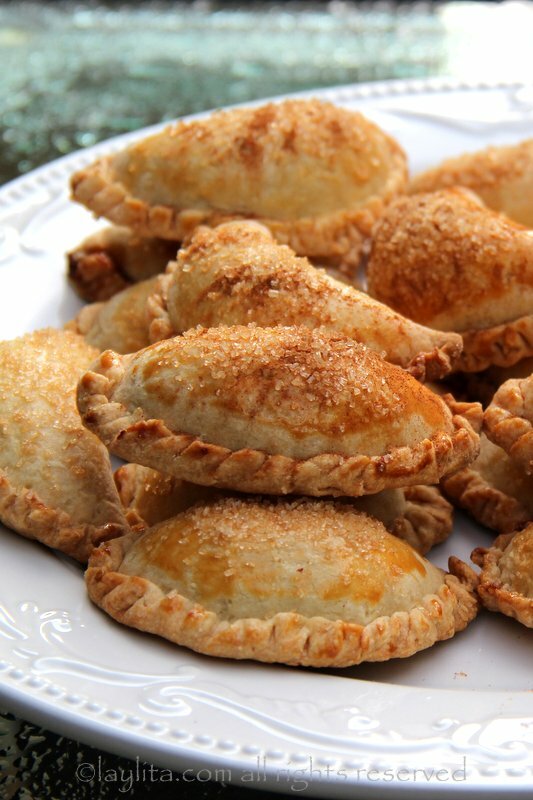 Lightly brush the top of the empanadas with the egg wash.
Sprinkle the sugar on the top of the empanadas. 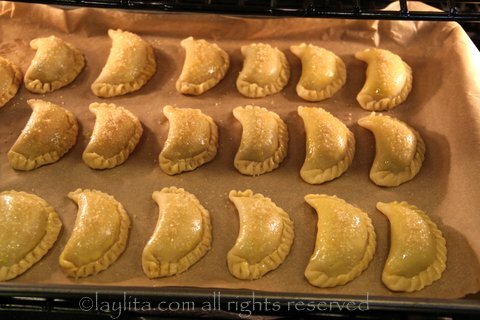 Bake the empanadas in a pre-heated oven at 375 F for approximately 20 minutes or until golden on top. Serve either warm or cold with ice cream or honey crème fraiche. 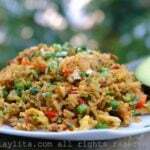 You can also use any of the leftover panela syrup to drizzle on top. 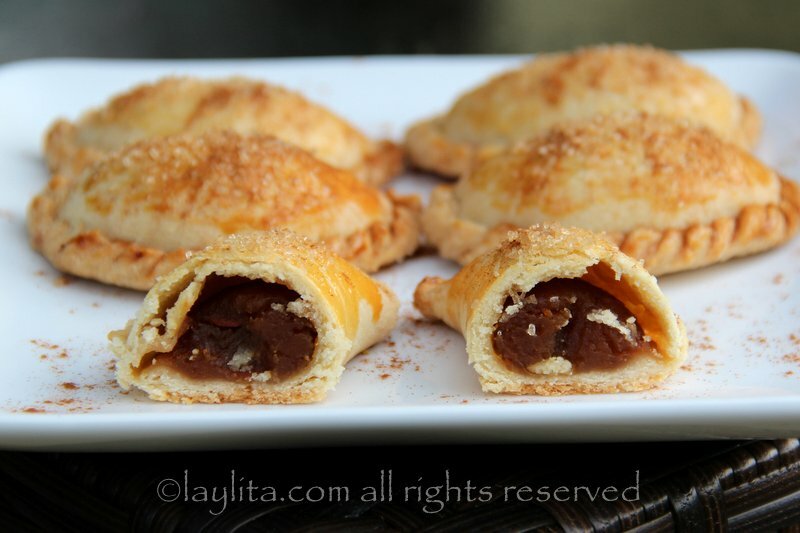 You can make these pumpkin empanadas with just the candied pumpkin filling and they will be delicious. Another variation is to add a bit a sweet vanilla goat cheese or cream cheese, or a piece of queso fresco, if you want to put the classic dulce de zapallo with queso fresco dessert into a bite sized dessert. 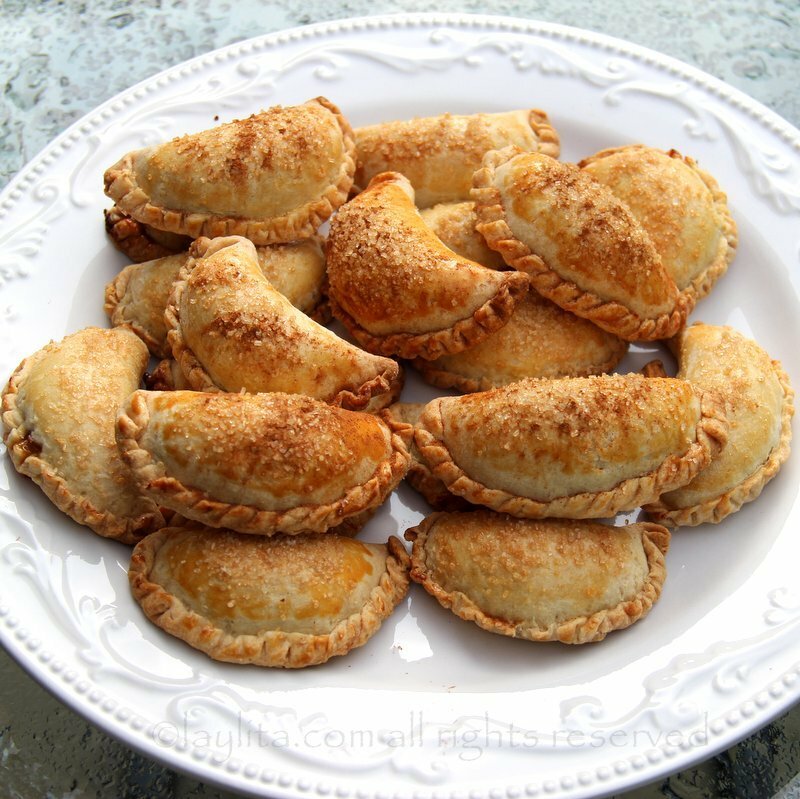 I also like to sprinkle these pumpkin empanadas with some ground cinnamon right before serving them, it gives them an extra kick of flavor and makes them look even more scrumptious. 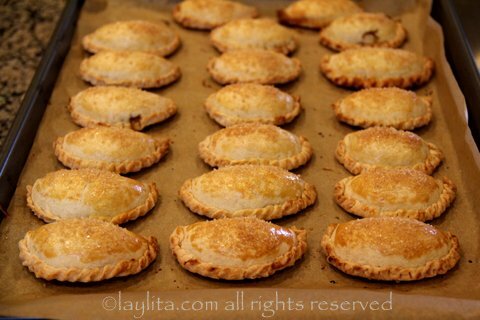 You can serve these sweet empanadas or turnovers warm right out of the oven, but they are also just as good cold. I also recommend serving them with a scoop of vanilla ice cream (especially if warm) or some honey crème fraiche. I made this for myself and they were great! I’m going to bring them into my Spanish Class. I really want to make these this weekend, however Halloween is long gone and grocery stores are now pumpkinless! 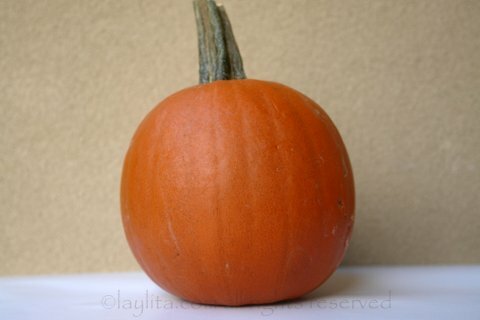 If I can’t find them at the local farms, would I be able to use the canned pumpkin? Thanks! Laylita! I specifically came to your website to figure out if the word is spelled “sambo” or “zambo,” and what a coincidence that the first recipe is exactly the recipe I am trying to spell correctly, haha. 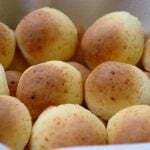 I realize you used the word “zapallo,” but in Lloa they say “z/sambo.” Anyway, had to comment on this, take care!